Sarah is a Sexual Health Educator and a Certified Fertility Awareness Educator with over fifteen years of teaching experience nationally and internationally. She originally trained and served as a homebirth midwife but has found her passion in women’s body literacy and health education. 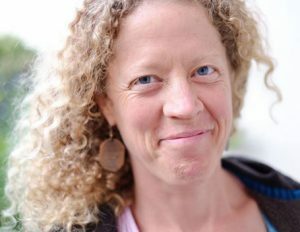 She is the founder and facilitator of the only professionally recognized Fertility Awareness and Body Literacy teacher training program in the USA, has a thriving private practice and is also part of a group practice called the Natural Fertility Network, providing Naturopathic based collaborative care. Sarah is a member of several professional organizations and is dedicated to furthering our embodiment, empowerment, sexual sovereignty and connection with the natural world. Sarah resides in Ashland, Oregon with her family and enjoys nature, cooking, gardening, dancing and community.